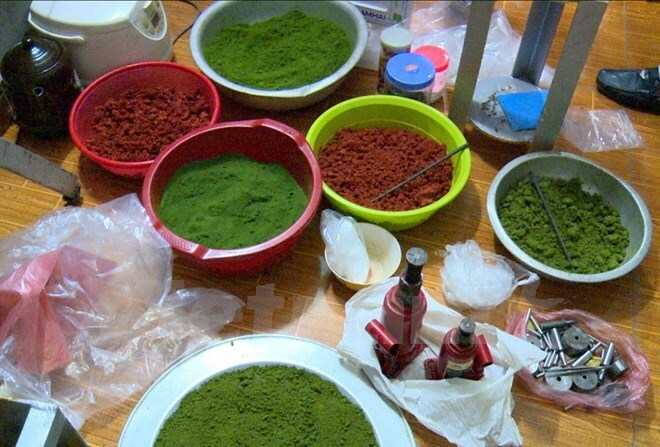 Hung Yen (VNA) – Police in the northern province of Hung Yen and authorised agencies on August 9 busted a ring producing and trading substances to make drugs. The ring’s leader Vu Thi Kim Ngan, born in 1982, was arrested. Searching her house in Tam Ky hamlet, Van Giang district, the police seized more than 1,000 tablets suspected as methamphetamine and six nylon bags of suspected heroin, along with other objects related to drug making.